It's been a really long time since I've picked up a new anime series. There's a ton on my list of things I want to watch but I just haven't had a ton of time to devote to it. But in March I went to Japan on a work trip, and while I was there I ended up watching several anime shows that were airing later at night when I was at the hotel. I just figured out last week that one of them was online to watch, so my husband and I decided to have an anime night where we watched the first episode of a few different shows. First up was Inari Kon Kon, the anime I'd been wanting to watch. The episode I saw in Japan was of course not subtitled, but it seemed interesting and I liked the animation, and honestly I could kind of follow the plot just from the visuals it was employing, which signified to me that it would be reminiscent of other stuff I'd liked, if a little cliche. 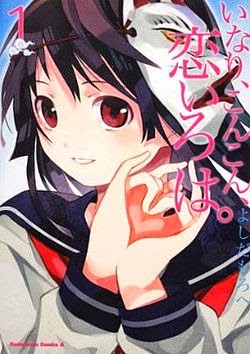 The plot is fun, a girl named Inari helps out a fox spirit (who she thinks is a normal dog) and in return the goddess of the temple grants her one wish. Earlier that day she'd discovered the guy she liked might actually like another girl, so she wishes to become the other girl. Of course this doesn't go as expected, when does it? I wasn't wrong that it was a little cliche, you can pretty much see almost every plot development coming a mile away and the characters are all exactly what you would expect them to be. But I don't mind, I do want to watch the whole show, especially since it's only ten episodes. This is the kind of simple and fun story that I often enjoy, and it doesn't hurt that the fox spirits are adorable. My husband's first pick was Captain Earth. I had never heard of it, but it seemed like a pretty standard giant robot show. Which it was, I guess. I actually enjoyed the first fifteen minutes, but when the story really gets going it suddenly becomes really, really confusing. What's worse is that the eyecatch for the commercial break says something like "all will become clear" and it definitely doesn't. I just got more and more confused. But in the end, I imagine I'll figure it out as the show goes on, nothing was too messed up that it couldn't be explained to some satisfaction. The characters were interesting enough that I do want to keep watching it. 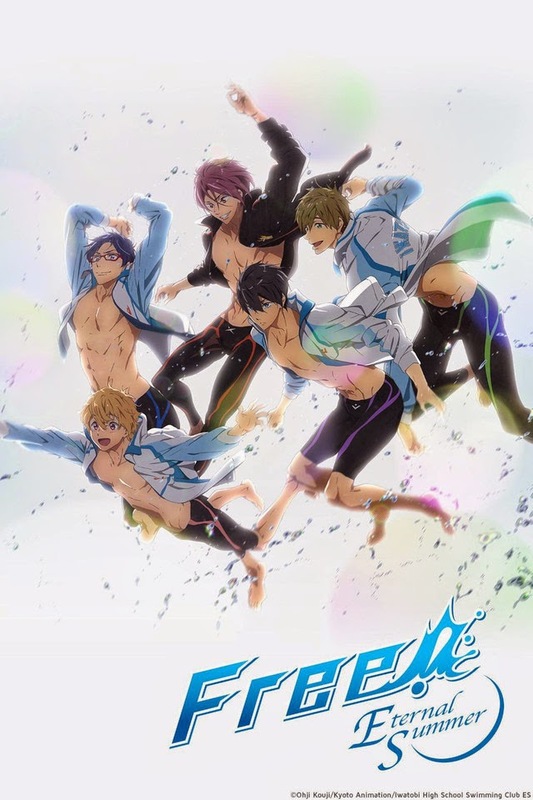 So, I got to pick next and I finally caved and decided to watch Free! - Iwatobi Swim Club. I'd heard a lot about it, and there was a lot of merchandise in Japan, so why not? The first episode actually isn't something that would make me watch the show if it didn't have a huge following, if I'm being honest. Two of the main characters just don't really do anything other than look good in swimsuits, at least not anything that made me want to know more about them. Two of the other characters were interesting and I wanted to know more, but they don't seem to be the focus so I'm not sure how much will be about them. 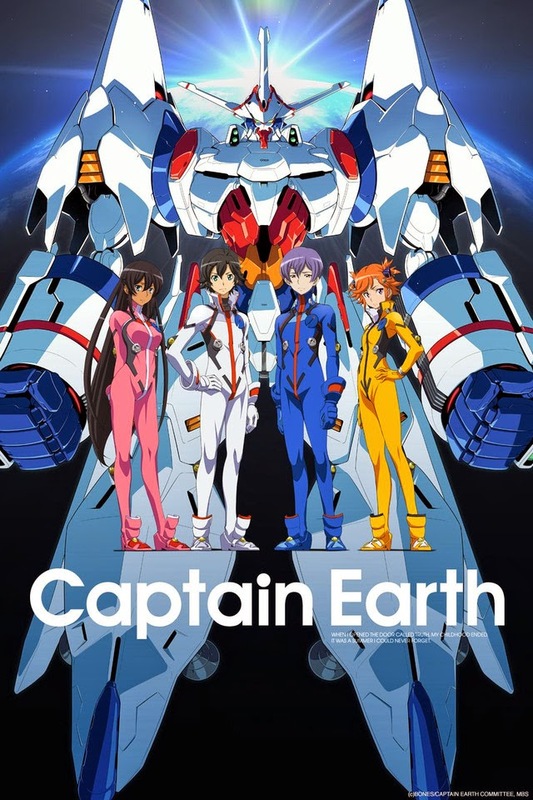 But in general, there was just so much backstory in the first episode, I kind of wanted it to throw me in the middle of the action like Captain Earth did instead. But obviously I'll keep watching, everybody's obsessed with this show and there must be a reason. Plus, you know, not bad to look at. 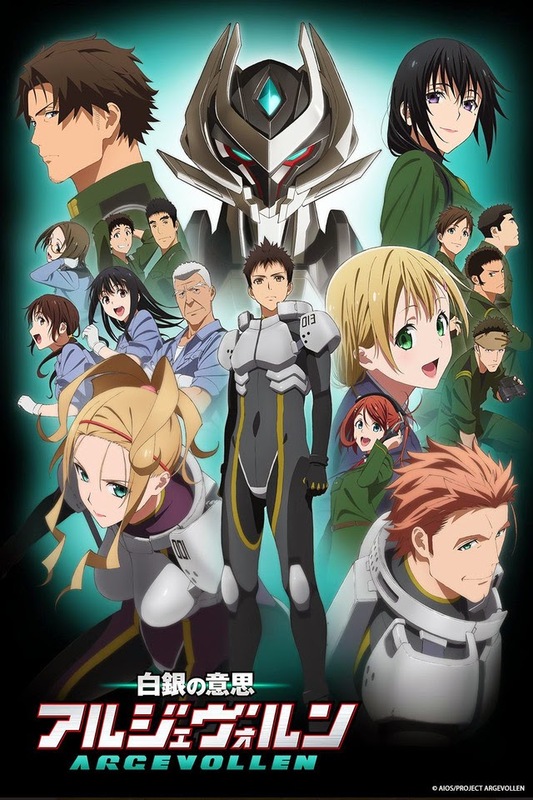 My husband wavered for a minute before picking another giant robot anime but in the end he picked Argevollen. This was definitely my least favorite pick of the night, and kind of a sad place to end on really. I had no problem following the story even though we're not given a ton of detail, but that's because it was just stuff I've seen before over and over again. The characters didn't really become anything or do anything at all, I couldn't tell you anything about any of them after the end of the episode except that the main character is a bit of an idiot. Honestly the only effect the first episode had on me was making me want to watch Full Metal Panic again. At least in that one the characters are developed as people, the robots aren't as weird looking, and I actually care about the conflict because they set it up. But this one, it just goes nowhere for the entire first episode, really. I don't care that the main character gets the awesome new mech because I don't know if I even want his side to win the war. Not a good start.